Four Holland Class vessels were built by Damen Schelde Naval Shipbuilding. 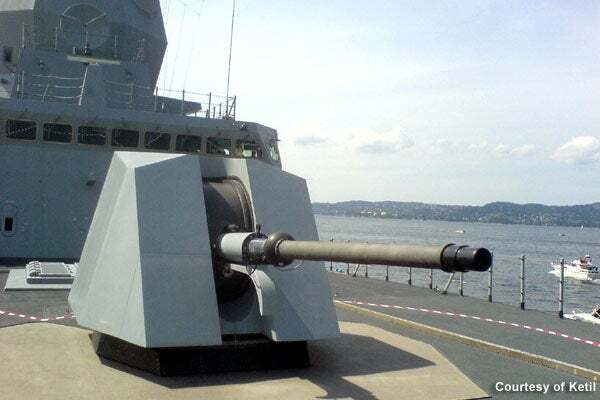 The OPV is fitted with a 76mm Oto Melara Super Rapid gun. The patrol vessel can accommodate a NH-90 helicopter. Holland Class offshore patrol vessels (OPVs) were built by Damen Schelde Naval Shipbuilding for the Royal Netherlands Navy. A series of four OPVs are named after Dutch coastal provinces. The Royal Netherlands Navy deploys the OPVs in the Caribbean and the North Sea. The vessels can support international task forces in anti-piracy missions, counter-drug operations and block ships in coastal areas during crises. With the ability to carry supplies and more than 100 people, the vessels can also carry out emergency missions. "With the ability to carry supplies and more than 100 people, the vessels can also carry out emergency missions." The vessel has a broad platform to provide stability in marine seas. Its stealthy design incorporates innovative techniques to reduce radar reflectivity. The body is built with thick steel, which has a lower tensile strength. It is heavier than the steel used for frigates and can resist the impact of small-calibre weapons. The hull is stretched and the bridge and superstructure are placed aftwards, to help optimise the seakeeping capabilities of the vessel. The speed is cut down to reduce fuel consumption and increase the range of the vessel. Two rigid-hulled inflatable boats (RHIBs) and one NH-90 helicopter are also carried to support interception operations. The Holland Class is also equipped with a CAMS-Force Vision integrated fire control system and two monitors for non-lethal protection and fire fighting. The OPV also features a gas citadel, explosion-resistant structures, redundant and decentralised systems. The vessel is fitted with highly automated systems, including a shore support and management system, calamity system, warning system and monitoring system. The patrol vessel has an overall length of 108.4m, a width of 16m and a draught of 4.55m. Displacement of the vessel is 3,750t. The OPV can accommodate 50 ship crew members and up to 40 non-listed persons, including a helicopter detachment, law enforcement detachment (LED), a platoon of marines or a medical team. Approximately 100 evacuees can also be boarded. The ship can sail at a speed 21.5kt. Its maximum range is 5,000nm. In December 2007, the Royal Netherlands Navy signed a contract with Damen Schelde Naval Shipbuilding in Vlissingen, the Netherlands, for the construction of four patrol vessels. Construction was carried out in parallel, with the first two at Damen Schelde Naval Shipbuilding in Vlissingen, the Netherlands, and the remaining at Damen’s sister shipyard in Galatz, Romania. The project cost was estimated at €467.8m ($687.9m). These ships were built between 2008 and 2012, and the fourth ship was built in 2013. The main gun is a 76mm Oto Melara Super Rapid gun. It has a firing rate of 120 rounds a minute and a range of 16km. The vessel is also fitted with a 30mm Oto Melara Marlin WS gun, two 12.7mm Oto Melara Hitrole NT guns and two 12.7mm M2HB machine guns. The guns onboard can be remotely operated. The patrol vessel has a fully-equipped hangar to support the operations of a NH-90 helicopter. The helicopter is equipped with homing torpedoes and a sensor system. The sonar and radar on the helicopter allows it to make observations beyond the radar horizon of the OPV. Space is available under the helicopter to accommodate containers of relief supplies. The OPV is the first vessel in the Royal Netherlands Navy to be fitted with Thales Integrated Sensor & Communication Systems (ISCS). "The Royal Netherlands Navy deploys the OPVs in the Caribbean and the North Sea." The system integrates communication and optical sensors, RF systems and radars. The sensor suite includes a Sea Master 400 air warning radar, a Watcher 100 active phased-array surface detection and tracking radar, identification friend or foe (IFF) system, electro-optic or infra-red panoramic surveillance system, a combat management system, a command and information centre, a mine detection sonar, RADIAC sensors and an infra-red Gatekeeper / electro-optical warning system. The OPV can make observations within a range of 140nm. Equipped with a combined electric or diesel (CODELOD) propulsion system, the patrol vessel is powered with two MAN 12V28/33 diesel engines rated at 5,400kW, fitted to a Renk gearbox. Each propulsion system drives a Rolls-Royce controllable pitch propeller. The electric propulsion is principally deployed for low-speed missions and minimises fuel consumption, while maximising the vessel’s endurance. The keel for the first vessel, Hr Ms Holland (P840), was laid in December 2008. It was launched in February 2010 and commissioned in May 2011. The keel for Hr. Ms. Zealand (P841) was laid in October 2009 and the vessel was launched in November 2010. Zealand commenced its sea acceptance trials (SAT) in August 2011. It was commissioned in October 2011. The third vessel, Hr. Ms. Friesland (P842), was laid in November 2009 and launched in November 2010. The SAT for the Friesland began in September 2011 and was completed in November 2011. The vessel was commissioned in April 2012. The keel for the last in the class, Hr. Ms. Groningen (P843), was laid in April 2010. It was launched in April 2011 and commissioned in November 2013. Bolidt's experience in decking systems and synthetic solutions has been developed and proven for over 50 years. Bolideck A60 is a fire-insulating lightweight floating floor, providing total fire insulation on top of the steel / aluminium deck and avoiding the requirement for insulation materials under the steel deck. Boliscreed 400 is a lightweight, waterimpermeable, flexible levelling screed for steel, wooden and cementitious substrates that withstands vibration and deflection without breaking or cracking.